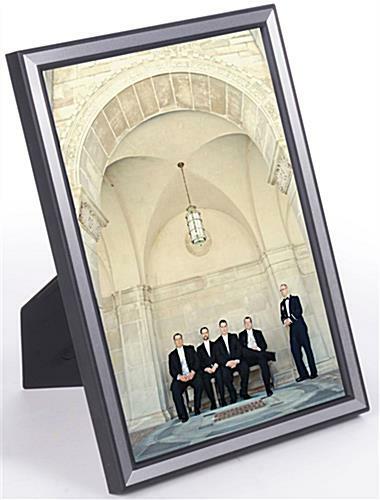 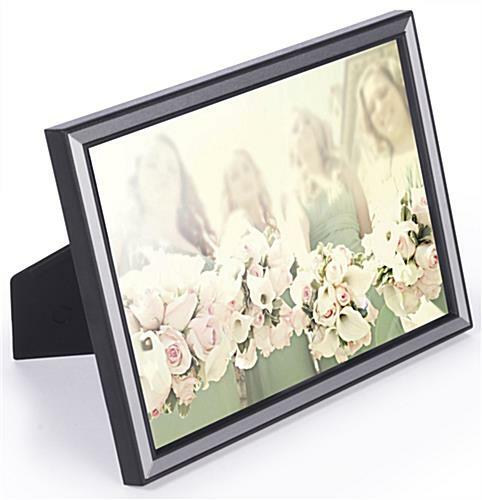 These aluminum black photograph frames are stylish photo, picture, sign or art display holders available in 5" x 7" format. 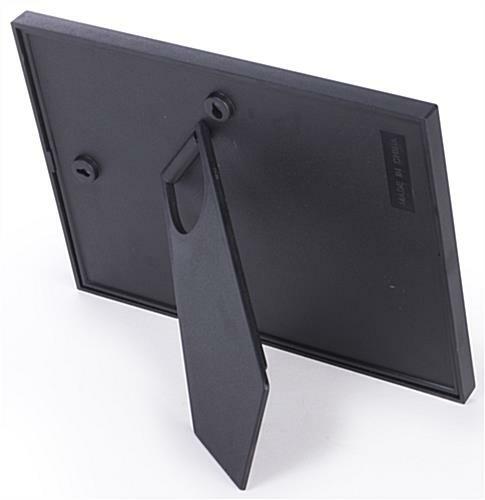 The versatile design has a snap-in easel backer that supports either horizontal or vertical mounting on tabletops or walls. 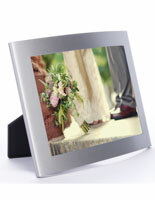 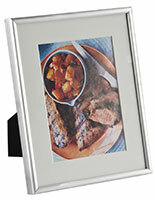 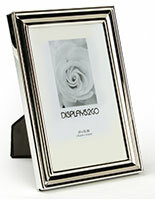 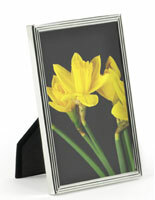 Each silver bordered black photograph frame has a stylish look that will complement any home, office or business décor. 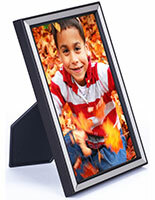 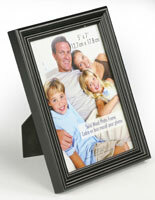 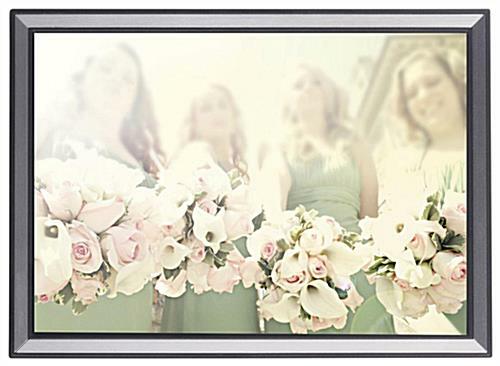 Individual small-size photo displays are an economical alternative to custom art display framing or poster-size collages. 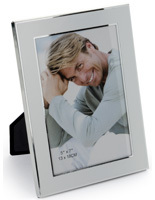 These elegant picture frames offer high visual contrast between the photo display enclosure, the silver border and the graphics for an attention grabbing showcase. 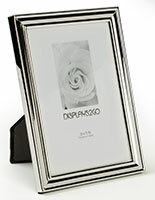 7.3" x 5.3" x 0.5"